These quesadillas are the perfect quick, seasonal weeknight meal that the whole family will love! 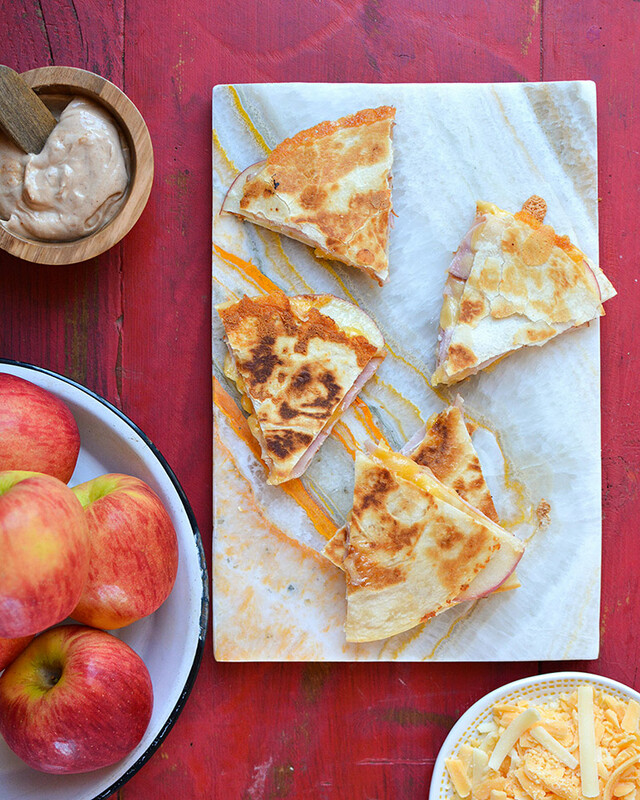 The Autumn Glory apples are paired with ham, cheddar, and gouda and sandwiched between two golden tortillas. The sweet and salty combo is to die for! I'm sooooooo excited to be headed out to Orlando this week with Superfresh Growers to the PMA Fresh Summit. I'll be at their booth handing out samples of these apple quesadillas to 20,000+ of my favorite friends! If you're there, please stop by. I'd love to meet you! 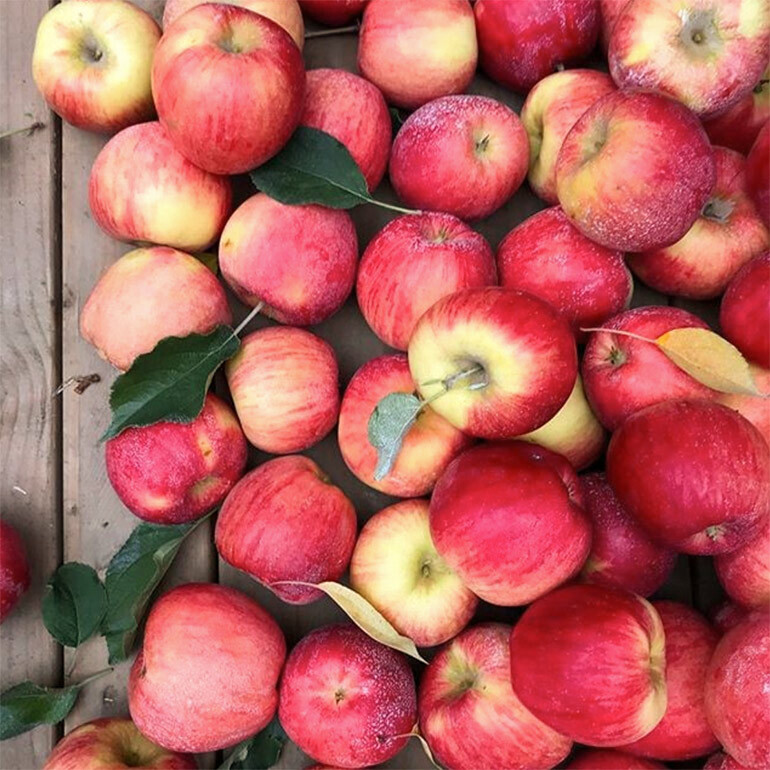 Raise of hands, if you've heard of Autumn Glory apples before. Apples and cheese were meant to be together, and not just on a cheeseboard! We love quesadillas at our house because they're so quick to throw together, they're liked by the whole family (ie. they allllllllll happily devour them), and often you have most everything you need on hand. Annnnnnd, the dipping sauce couldn't be easier: it's just two ingredients! Stir together equal parts of your favorite BBQ sauce + plain Greek yogurt. I told you it was easy!! Disclaimer: this is a sponsored post written by me on behalf of Superfresh Growers. 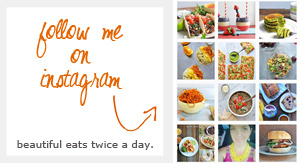 The opinions, text, recipe, and beautiful photos are all mine. 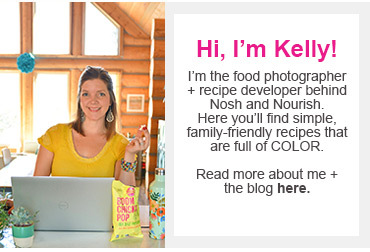 Thank you for supporting brands that support Nosh and Nourish!! I choose them based on what I already cook/create with and feel 100% confident in recommending to you. To make the quesadillas: For each quesadilla, place a buttered tortilla face-down in a skillet over medium heat. 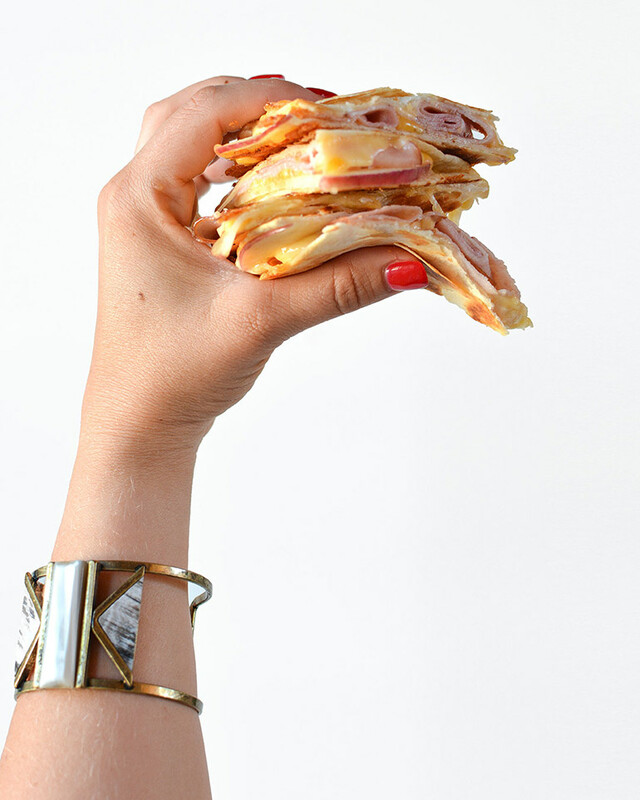 Then add ½ cup of cheddar cheese, 6 ham slices, apple slices, and 3 gouda slices, then top with another tortilla. Cook (on both buttered sides) until the tortilla is golden brown and the cheese is melted, approximately 3 or 4 minutes per side. Slice into triangles. To make the sauce: In a small bowl, combine the sauce ingredients (BBQ sauce and yogurt). Serve alongside the quesadillas for dipping.